We have been working with Petits Filous on their Free Play campaign and for the last week we have been on a mission to push past the 'I'm bored' stage and encourage the children to play rather than turning to technology. The biggest challenge has been after school as the boys are often tired and I am guilty of thinking an hour in front of the TV is what they needed after an intense day. What I have discovered this week is that actually after a day of structure and stretching their minds, what they really seem to need after school is a chance to exercise their imaginations instead and some playing with no structure, no learning goals or adult input is so much better for them. The first thing I noticed was how school is influencing their play. Archie's topic for the term is Space and Dylan's is explorers, the overlap being astronauts. 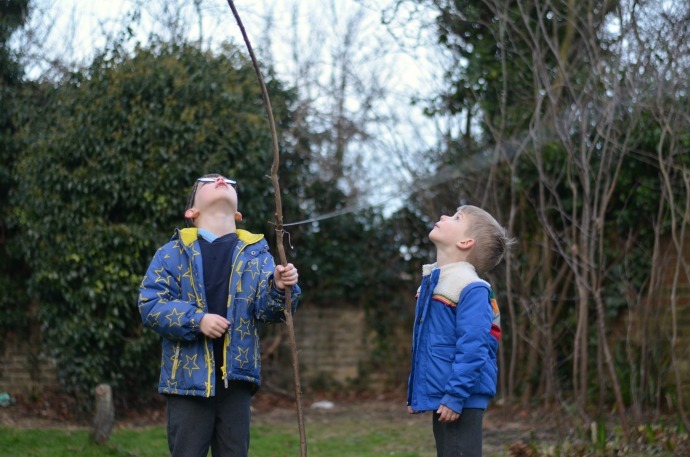 They had a visit from Helen Sharman (the first British Astronaut to visit the MIR space station) at school the week before and as soon as I sent them out in the garden with no instructions, they declared it to now be the moon. They chatted as they played about all things space, getting lost in their conversations until they needed an answer. The easiest way to start this new habit of letting them play free with no structure or input seemed to be sending them out in the garden but the British weather doesn't make that possible everyday and when we are stuck inside, I observed their new favourite game 'pets' that involves every cuddly toy in the house. The boys started playing this game weeks ago, but given the time with no distractions I found them going back to it time and time again. 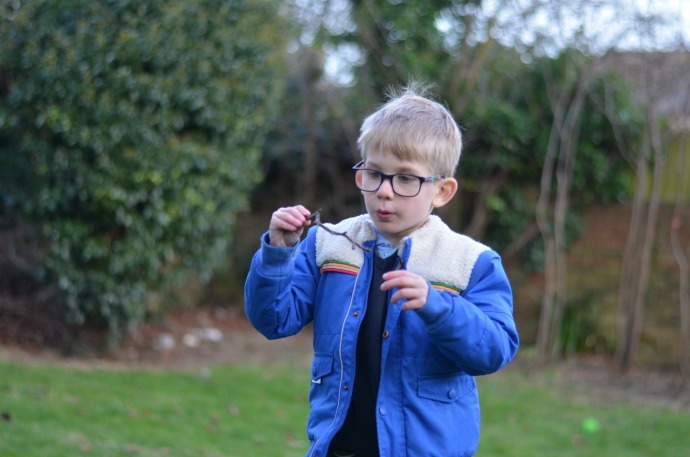 I spoke to leading play expert Anita Cleare and she said that children often return to the same game, evolving it slightly each time they play to get something different out of it. On the second wet day when they wrote a list of names and ages of all their 'pets' and on the third wet day when they celebrated one of their pet's birthday parties I could really see what she meant. Many aspects of the game stayed the same, but it adapted and grew, the imaginative world that they were immersing themselves in became more detailed and intricate and each time they played they seemed less aware of me even being in the house. 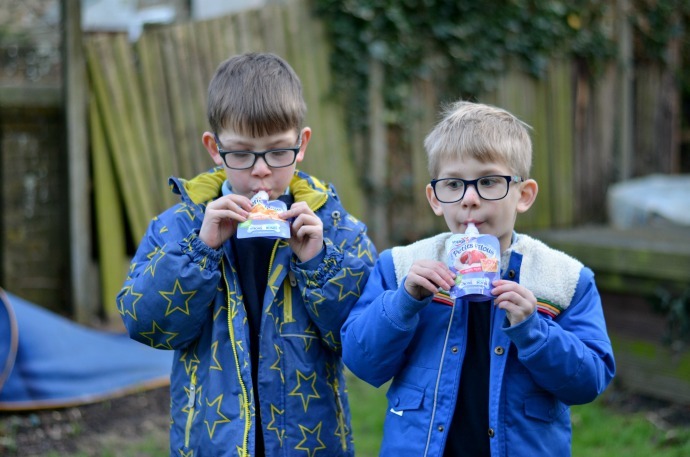 After school playing is apparently much more hunger inducing than sitting infront of the TV and we had Petits Filous yoghurts on hand for a snack (the pouches are perfect for eating in the garden or at the park as they can be kept out the fridge for up to 5 hours). Each pot (or pouch) is fortified with Vitamin D for healthy bones and these pouches have less than 100 kcal per portion too. I remember playing free as a child, shops, schools and overturned coffee tables becoming rabbit hutches. I grew up before technology was everywhere and I love watching the boys having those carefree experiences too. Technology plays an important part in our lives, but playing free is even more important for them and something we need to make time for everyday. This has been an eye opening experiment and I have loved watching their imaginations and getting a new insight into how their brains work. There is still a time and place for the TV but we are going to try and do more free play everyday too. 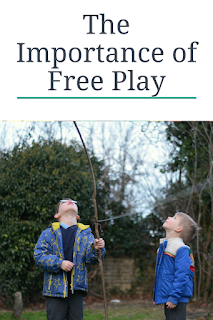 about the importance of free play. It's so wonderful to listen to them play isn't it. I always love listening to what my daughter says and the voices she puts on! Space is a big thing here right now, we are on daily missions to save the world. 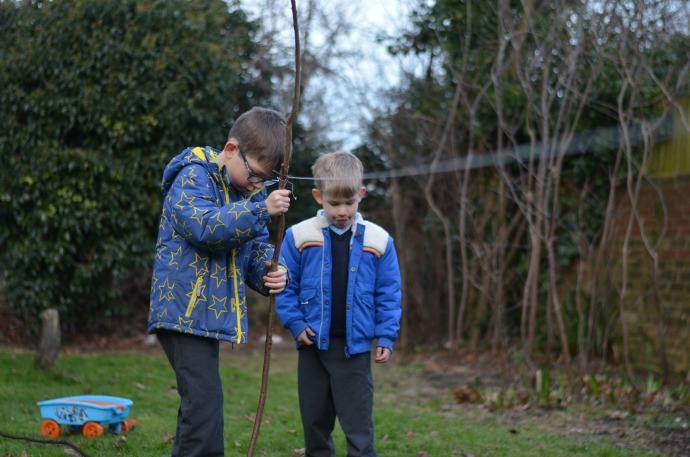 It sounds like they had a brilliant time together, and it's lovely to see how their learning at school is feeding into their play! 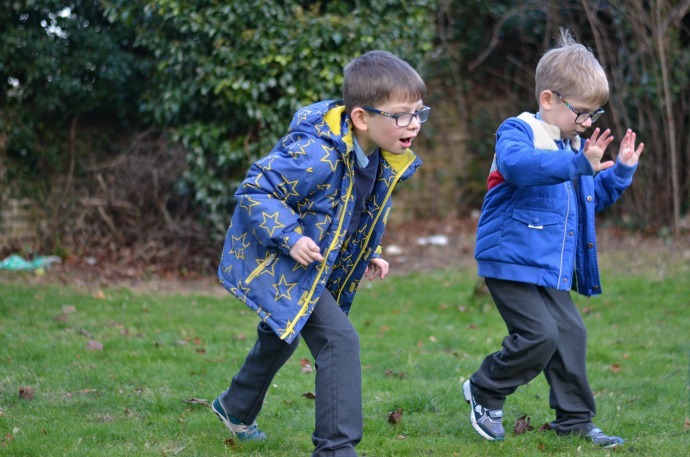 I love seeing children playing outside, I always found with my two they'd be so much better behaved and less likely to argue if they'd been outside and burned off some energy too! Love the idea of free play. Life these days is so contrived and overly structured- letting them simply use their imagination can never be s bad thing! At times I do feel guilty when my children say they are bored. This campaign is really valuable not only to highlight the importance of play but to reassure us as parents too. It’s made me realise I don’t need to step in, suggest or direct like I do and moving forward I will be much more aware of this. They look like they had so much fun on their free play experience. Free play is so important, what a wonderful campaign. Ahh they are adorable. It was a great campaign and I love that we all seemed to learn so much! I love this. 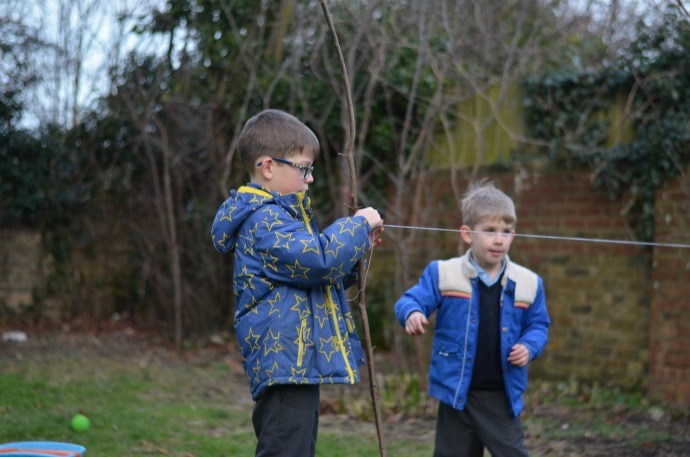 Free play as a (fun) way to explore the learning done in school. And what an amazing visitor to have coming along to talk to the children! 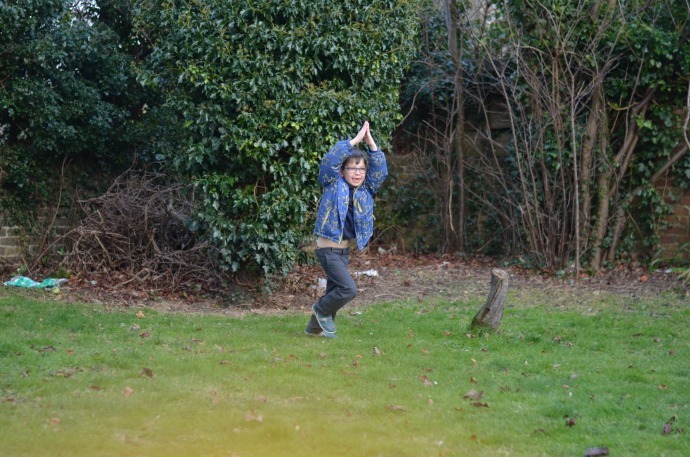 I love listening in on my kids games, they're always so sweet :) I find free play much easier outside too - it makes you less stressed if they are being noisy!